Telamon Opens Tenth Domestic Office in Whitestown, Indiana. Telamon is excited to announce that it has opened a second Indiana location in the Whitestown AllPoints at Anson office park in addition to its headquarters in Carmel. This will be Telamon’s tenth domestic office to open since its founding in 1985. The Whitestown office will support Telamon’s Telecom Solutions division, which is a leading provider of logistics, assembly/kitting, EF&I (engineer, furnish, and install), and DAS/small cell services to wireless, wireline, data center, central office, and enterprise customers across North America. The move was effective November 23, 2016. 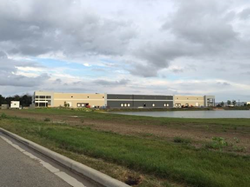 The 110,000 square foot facility located at 4656 Anson Boulevard – Whitestown, IN 46075 houses 86,000 square feet of warehouse space, 20,000 square feet of assembly space, and 4,000 square feet of office space. Telamon will employ up to 50 individuals, which includes 14 new positions and 36 employee relocations at this location.